Looking forward to seeing what else everyone got. That and catching up on writing on my own posts. Wow! I’m so drawn by the synopsis of Three Cups of Tea. It seems like a wonderful and inspiring story. This book and this author is a new discovery for me. Thanks to you! I can’t wait to read your review on this book. I loved three cups of tea – how awesome you went to an author event! I am excited to read the new book, Stones Into Schools. Happy reading! Enjoy your books! They both sound great! I hope you enjoy reading them. I never heard of either of them, so thank you for putting them on my radar. Both of the books sound great! Enjoy your reading. Three cups of tea sounds really great, thanks for posting about it, I will add it to my TBR pile. I can’t wait to see your thoughts on Three Cups of Tea. Thanks for the comment about his new book over my blog! I have been really curious about the Three Cups of Tea book. Happy reading! Three Cups of Tea is waiting in the wings here — it looks like an amazing book. 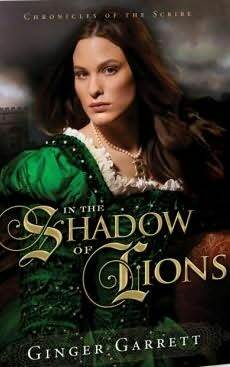 In the Shadow of Lions looks quite good, too — I’ve always been interested in Tudor England. And the cover is gorgeous! In the Shadow of Lions looks really good!! Thank you for your comment on my IMM! I don’t have all of the Sunfire books yet, I need 5 more for my collection! Congrats on finding them all! Colin Firth is playing Mr Darcy. Sounds good – especially the Shadow of the Lions one. Never heard of them before so thanks! & Also for the comment over at mine.